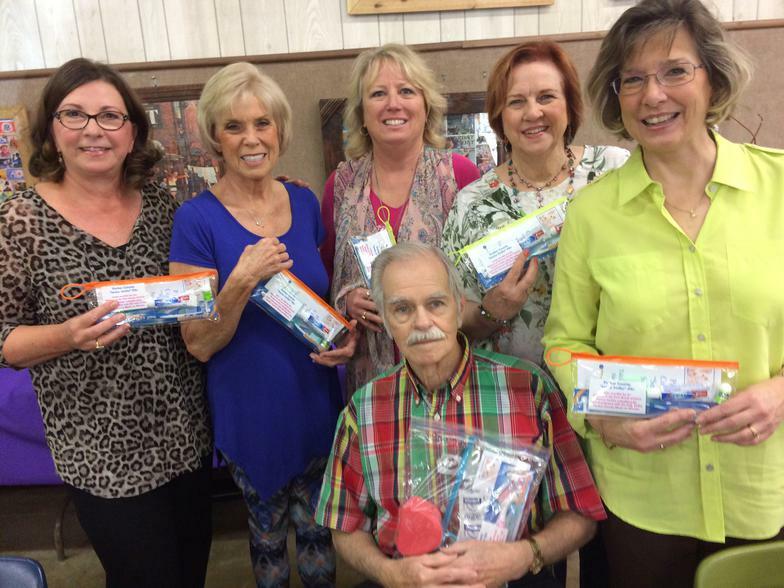 The Alliance of the Fort Worth District Dental Society took a road trip to Weatherford, TX to deliver the Parker County Senior Smiles kits (72 toothbrush kits and 72 denture care kits) to seniors at the local Senior Center. This was our second year to deliver kits in honor of long-time Weatherford resident & dentist, Dr. Fred Potter. 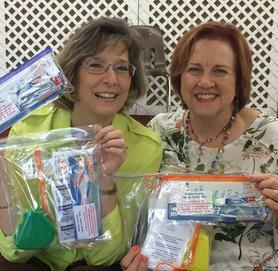 The Parker County Senior Smiles kits were funded in part by the Alliance of the Texas Dental Association Dental Health grant and by a generous donation by Mrs. Fred (Beth) Potter.